Do You Snore? We can help! If you snore loudly and often, you may be accustomed to middle of the night elbow thrusts and lots of bad jokes. But snoring is no laughing matter. That log-sawing noise that keeps everyone awake comes from efforts to force air through an airway that is not fully open. An estimated 10% of adults snore. For most, there are no serious medical consequences, but for some, it is the first indication of a potential life-threatening disorder called “Obstructive Sleep Apnea”. Snoring is caused by a change in airflow through the nasal and throat tissues. It’s basically like water running through a pipe. If the water runs abnormally through the pipe it will vibrate. The same thing happens with airflow when it is partially obstructed. Snoring can be categorized by its severity. The Benign Snorer: snores occasionally but experiences no physical problems. Upper Airway Resistance Syndrome: With UARS, the snoring is so loud and breathing so labored, that it still wakes the snorer up numerous times throughout the night. This leaves them tired in the morning. or prevent them from breathing for extended periods of time while they sleep. 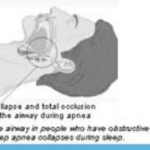 A person with sleep apnea can have hundreds of events throughout the night. They rarely wake up and patients don’t often recall not breathing, even though it happens many times. The body is deprived of valuable oxygen; it is essentially being suffocated at night, every night over and over again. We work with some of the leading sleep specialists and surgeons to help diagnosis and treat snoring problems and sleep apnea. We’ve found that many of our patients who suffer from these issues prefer a conservative non-surgical approach. In our office, we can treat snoring and mild sleep apnea with non-surgical, removable devices called sleep appliances. 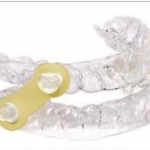 These sleep appliances are worn while you are sleeping to decrease your sleep apnea occurrences and reduce your snoring. Sleep appliances may offer several advantages over other therapy choices. They are inexpensive, non-invasive, easy to fabricate, reversible, and quite well accepted by patients. Our office uses different appliances to fit your needs and circumstances. The procedure is quite easy. An impression is made of your teeth. Measurements of the forward and sideways maximum movements of the jaw are recorded. The impression is sent to tour dental laboratory for manufacturing the appliance. About two weeks later we will fit the appliance to your mouth along with specific instructions on how to use it. Over a few appointments we will adjust the appliance to maximize its benefits. The treatment objectives for appliance therapy are to reduce snoring, resolve any OSA issues, get a higher amount of oxygen into your system, eliminate excessive daytime sleepiness and allow you to function normally. It does this by holding your lower jaw open and slightly forward during sleep. This prevents the tongue from falling back and contacting the back of your throat and creating an obstruction. Weight loss: Weight loss of even 10% can reduce sleep apnea. People with severe sleep apnea are almost always over weight. Losing weight will reduce redundant tissue volume in the upper airway, decrease the load on the chest wall and abdomen, and improve respiratory muscular efficiency. In mild cases, weight reduction alone may result in a cure. In other cases it enhances the effects of additional therapy. Sleep on your side– Many studies have shown that patients who sleep on their back have a significantly higher level of sleep disturbance. It is believed that sleeping in the supine position causes a gravitational pull on the tongue forcing it to come in contact with the posterior pharyngeal wall. Therefore any technique that keeps you sleeping on your side could be beneficial. Avoid alcohol within two to three hours of bedtime. Alcohol is a central nervous system (CNS) depressant and changes motor activity to the muscles that control normal inspiration. These changes create unfavorable forces in the upper airway causing it to collapse. Avoid certain pharmacological agents– Benzodiazepines, narcotics, barbiturates, and testosterone have all been reported to affect the occurrence of apnea episodes. For example, Flurazepam has been shown to worsen apnea episodes in patients who already suffer from this disease and trigger apnea in patients who have no history of a problem.